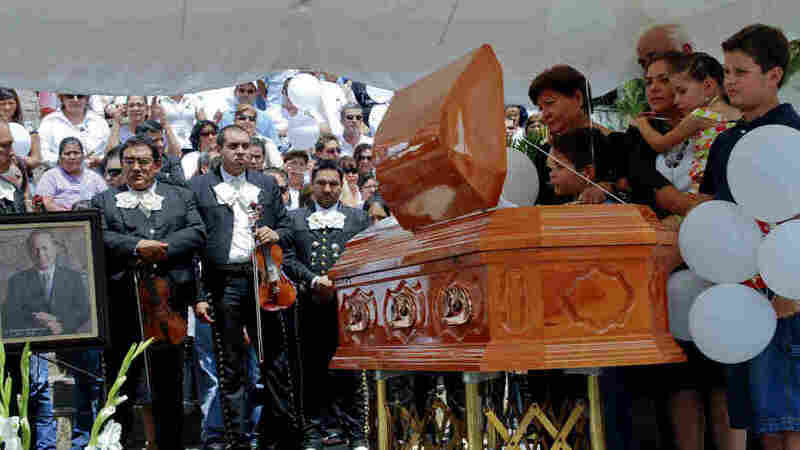 Mayors Are New Targets In Mexico's Drug War Eleven mayors have been killed since January, as politicians have gotten caught up in the violent drug war. 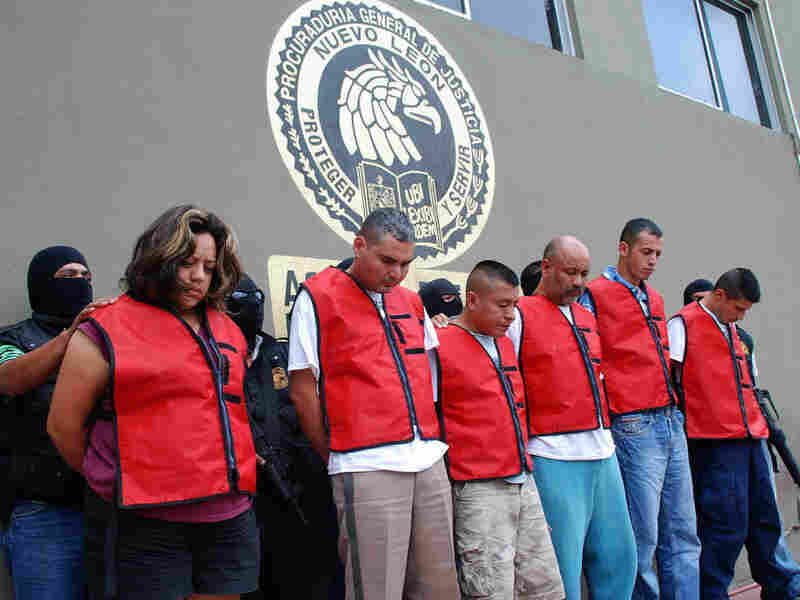 Drug cartels are growing more aggressive and preying on local public officials in order to weaken their authority. Eleven mayors in Mexico have been killed since January, caught up in the violent drug war. As the Mexican government pushes forward with its offensive against the drug cartels, criminal groups have slaughtered their rivals, killed police and now increasingly are targeting public officials -- particularly mayors. The places where politicians have been murdered in Mexico this year are the same places where drug violence has been raging. The first assassinations in February occurred in the northern states of Chihuahua and Durango. Then the killings shifted south to Guerrero, Oaxaca and Michoacan. Lately, the violence has moved to the volatile northeast. Over the last two months, four mayors have been gunned down in municipalities surrounding the northern industrial city of Monterrey. Santiago is a quaint tourist town just south of Monterrey where many of the local industrialists and businesspeople come to spend their weekends. In August, its mayor, Edelmiro Cavazos, was abducted -- allegedly by some of his own police officers -- tortured and eventually killed. Andres Cavazos says his older brother became mayor because he wanted to change Santiago and improve the lives of its residents. He says his brother took over a city in January with a huge deficit. As mayor, Cavazos also inherited a corrupt police force. Prosecutors say elements of Cavazos' police force turned against him after he fired some officers. The ramifications of his murder for the town have been huge. Santiago, which was already struggling to attract visitors, saw tourism drop even further. Below the town is a large reservoir called Presa de la Boca. Restaurants line the shore. On a recent day at the peak of the lunch hour, some of the restaurants are completely empty and others have only a few diners. About 200 yards offshore is a floating restaurant that's accessible only by boat. On board, the music is upbeat, but the manager, Jose Guadalupe, isn't. Twenty white plastic tables emblazoned with the logo for Tecate beer are neatly arranged on deck, but he has no customers. Guadalupe says business had been tough all year, but the killing of the mayor has scared away even more tourists. [The murder of Mayor Edelmiro Cavazos] didn't just affect business, it affected the entire town, the entire community, because the mayor is the maximum power here in Santiago. And if they can do this to him, clearly no one is protected. "This didn't just affect business," Guadalupe says, "it affected the entire town, the entire community, because the mayor is the maximum power here in Santiago. And if they can do this to him, clearly no one is protected." Last month in the southern state of Michoacan, the mayor of Tancitaro was found bludgeoned to death with a rock. Gustavo Sanchez was the 11th mayor killed in Mexico this year. In the wake of Sanchez's murder, Mexican President Felipe Calderon's security spokesman, Alejandro Poire, vowed in a press conference that the Mexican federal government would do all it could to protect local politicians. Poire said the federal government is making soldiers and federal police available to assist and train local law enforcement. But Calderon has already deployed tens of thousands of soldiers and federal police across the country, and the security situation continues to get worse. Since Calderon launched his war against the drug cartels in December 2006, more than 28,000 people have been killed. In May, a former presidential candidate was kidnapped and is still missing. In June the leading candidate for governor in Tamaulipas was gunned down just days before the election. Gladys Lopez Blanco, the head of a magazine called Alcades de Mexico (Mayors of Mexico), says since the start of the drug war, mayors have been threatened but the number of assassinations is now at a level never seen before. She says as the fight against organized crime has intensified, the criminals have become more aggressive. Part of their strategy, she says, has been to weaken the power of local government. "These deaths surely have been part of a strategy to limit the participation of mayors in the upcoming elections," Lopez says. Referring to the criminals, she adds: "They want to take greater control of our fundamental government structures, which are at the municipal level because obviously it benefits them in growing their illicit activity." She says many good potential mayoral candidates in Mexico aren't going to run because they simply don't want to risk their lives.